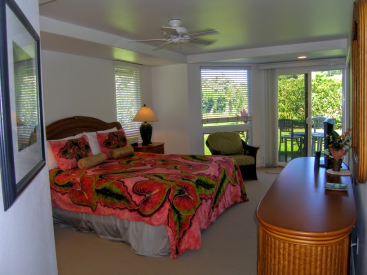 Villas of Kamalii #9 is located on the Woods Nine at Makai Golf and Tennis Club. 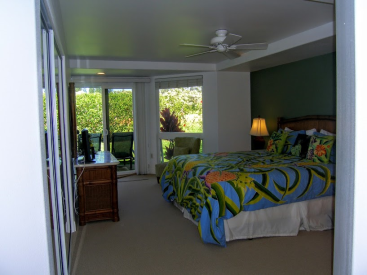 It is situated at the higher elevation within the development and provides great trade winds. 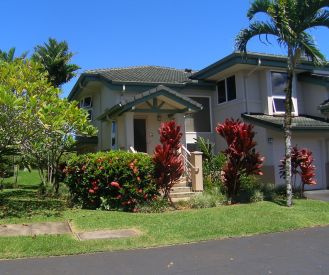 This three bedroom/three bathroom townhome offers unobstructed views of the Makai Golf Course from the rear of the townhome and mountain and waterfall views from the front of the the townhome. 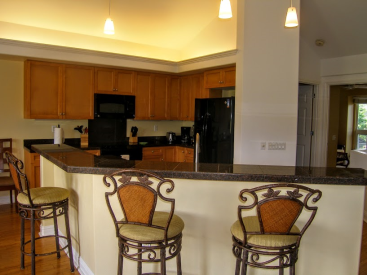 The upper floor has bamboo flooring and an open floor plan with the kitchen, bar seating, dining and living room. The third bedroom with a sleeper sofa and full bath are also located on this level. The lower level has two master bedrooms with master bath suites with an open sitting area and the doorway to the garage. 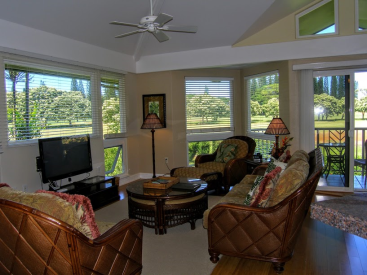 The townhome is elegantly furnished and an active vacation rental. 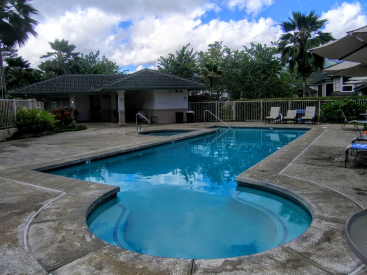 Villas of Kamali’i is a 59 unit condominium association that offers a heated pool and Jacuzzi with a barbeque/grill area. It is a “stone’s throw” to the Makai Golf and Tennis Clubhouse.